Solid pewter construction designed from the tale of Excalibur, the sword wielded by King Arthur, offered to him from the Lady of the Lake. 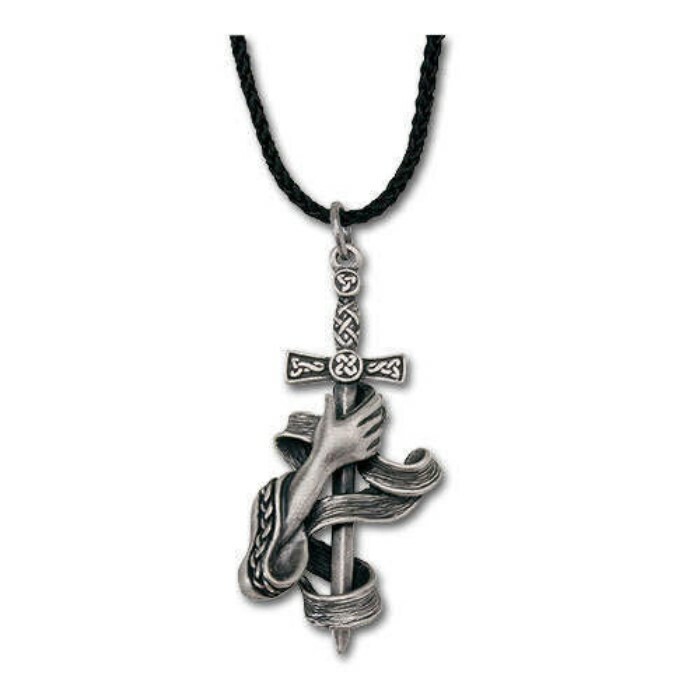 Features intricate engravings and solid black nylon cord necklace. Celtic Designs. 2" long.